ESSEX MOST POPULAR DOUGHNUT WALL IS NOW FOR HIRE! Want to give your guests something to really sink their teeth into? Give them our Donut you want one? Donut Wall! We supply a mix of flavoured iced ring Donuts on every peg and we can also supply dairy-free, vegetarian and vegan donuts for those guests who require them! Surcharges apply to speciality donuts. Please get in touch for a quote. 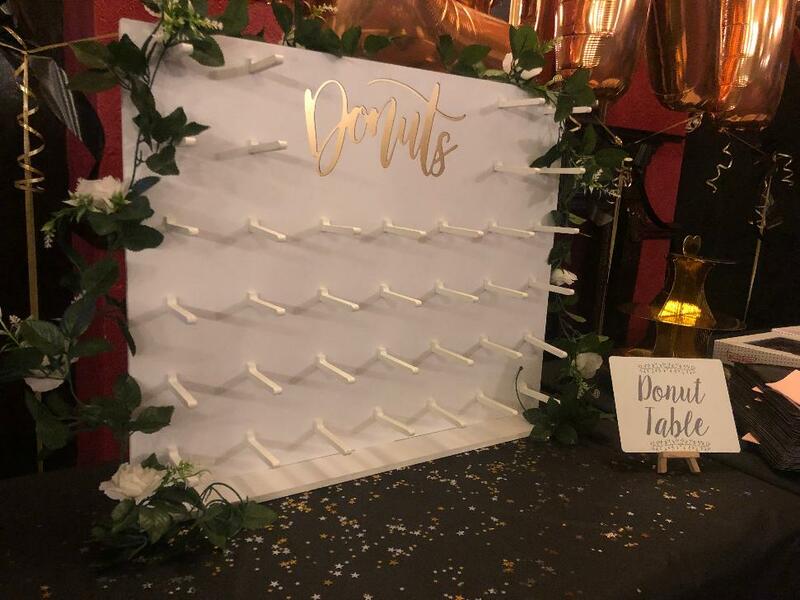 Our donut wall hire begins at a time of your choice. 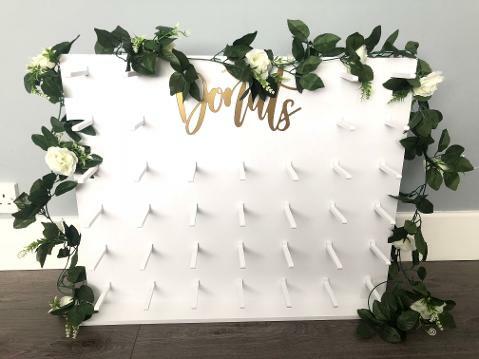 We will come in to your venue at your chosen time, set up, and the wall will be left with you for the duration of the evening. We will collect the wall the following morning - all deliveries and collections are organised by us, direct with your venue! Delivering our donut stand to Essex, Canvey Island, Benfleet, Hadleigh, Leigh On Sea, Westcliff on Sea, Southend On Sea, Chalkwell, Rayleigh, Hullbridge, Wickford, Pitsea, Basildon, Rettendon, Laindon, Chelmsford, Billericay, Stock, Orsett, Grays, Thurrock, Romford and more! 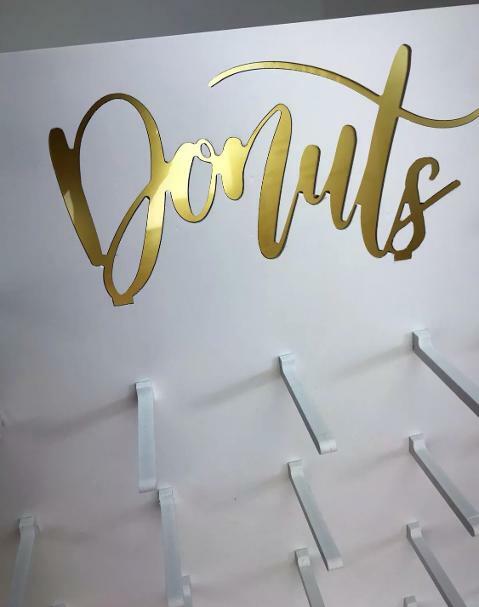 Why not have a doughnut wall as your late-night nibble? Add it as your back drop on your dessert table or even as your main event. Whatever you decide your guests do (nut) know how much they’ll love them!